This year at Stockholm Music & Arts Audiorama presents an audiovisual work by our artistic director Magnus Bunnskog. We also curate three outdoor sound installations by Kajsa Lindgren, Katt Hernandez and John Chantler. På årets Music & Arts presenterar Audiorama ett audiovisuellt verk för auditoriet, skapat av vår konstnärlige ledare Magnus Bunnskog. Vi kuraterar dessutom tre ljudinstallationer utomhus på festivalområdet, skapade av Kajsa Lindgren, Katt Hernandez och John Chantler. Tickets are sold only to the festival and not for individual artists and performances and can not be redeemed for cancellation or change acts in the festival. Age limit 13 years. // Biljetter säljs endast till festivalen och ej för enskilda artister och framträdanden och kan således inte återlösas vid inställda eller förändrade akter i festivalen. Åldersgräns 13 år. Magnus Bunnskog is a composer, and works as dramaturg and artistic director at Audiorama. At Music & Arts he will present a new, audiovisual work for the 17.4 speaker setup at Audiorama, which deals with various aspects on 間, a spatial concept which roughly translated suggests intensification of visual perception through a “gap” or “negative space”. Kajsa Lindgren is a Stockholm-based composer, sound artist and field recordist. Her participation in Music & Arts consists of a sound installation based on hydrophone recordings, exploring the underwater areas surrounding Skeppsholmen. The installation will be located by the water. "Med ett lätt förakt (With a slight contempt) – A project based on field recordings and interviews with people living on an island in the Swedish archipelago. Here I try to narrate the island through a broad perspective with recordings from the underwater environments surrounding the island to the more land based ones within it. The idea behind the project is based on the fact that you can only perceive your (sound)environment within the distance that you’re able to hear it, but what if you could hear the whole island? It’s a sound art project that has an documentary approach where the interviews with the islanders are involved with narrative. Performed at Audiorama (2016)." Katt Hernandez is a composer, violinist and improvisor from the United States, living in Stockholm. 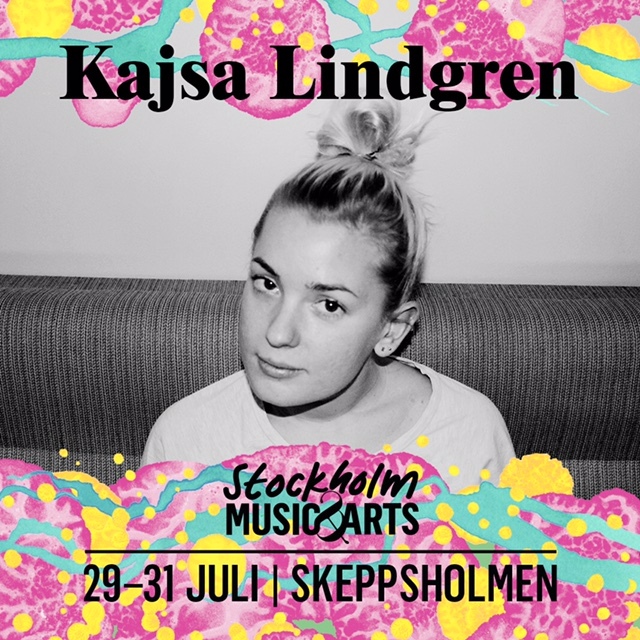 At Music & Arts she will be building an installation for the Garden of the Museum of Modern Art and Arkdes, utilizing modular synthesis, violin sounds and field recordings from Stockholm. John Chantler is a musician and organiser living in Stockholm, working primarily with modular synthesizers, organs and acoustic phenomena. At Music & Arts he will present new music for loudspeakers, that can be heard by all people passing though the main gates of the festival.